This is the first bag of our Charity Art Project. 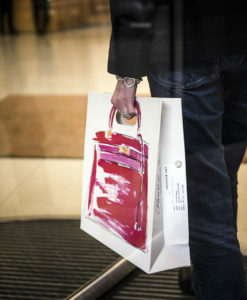 It combines playfully and wittyly the iconographic chic of a fashion classic, the mother of all It bags, with a good cause. 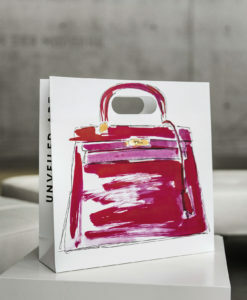 Inspired by the social Zeitgeist, the fashion classics and the desire for a clear design, we have developed, together with the experienced fashion illustrator Iris Olschewski, a product, witty as well as stylish: The artist draw with a precise but playful swing an all-around image of the Hermès Kelly Bag. In itself already a creation with a collector’s value. 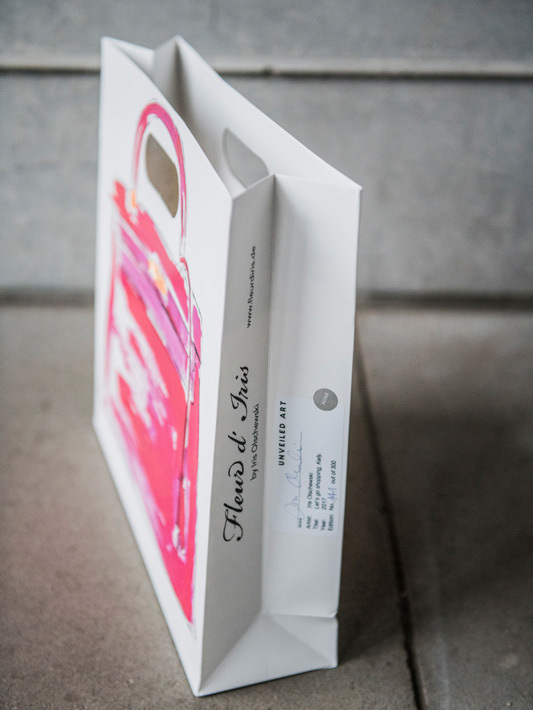 But a bag does not belong to the wall, but to be weared: Printed with a high-quality process, this graphic homage to one of the most stylish bags in the world shines glossy on a sturdy shopper bag made of matt laminated paper. 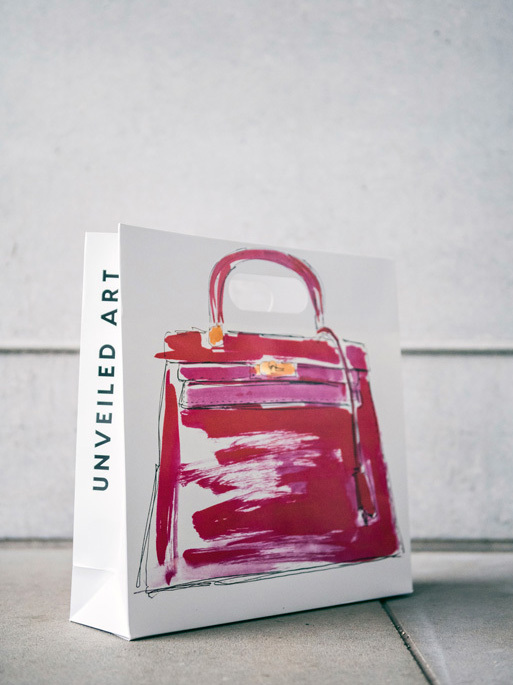 There are only 300 numbered editions of this limited It bag, all hand signed by the artist herself. A wearable artistic piece with a cause: when buying this bag a part will be donated to the award-winning charity organization OneDollarGlasses. A project that provides affordable DIY glasses to the people in the poorest countries, who live on a dollar or less a day. You have the option to donate a self-chosen amount, to make a wearable statement. Because one thing is more true than ever before: fashion and style are reference, expression, statement. We live consciously. In context. Reflecting the effective altruism.